The Navy then proposed a shooting program to be conducted from helicopters, but was blocked in court by an animal welfare group, the Fund for Animals. This group used helicopters and nets to capture the goats, then took them off the island and found homes for htem across the country. Practically all the goats were removed from the island in this manner. 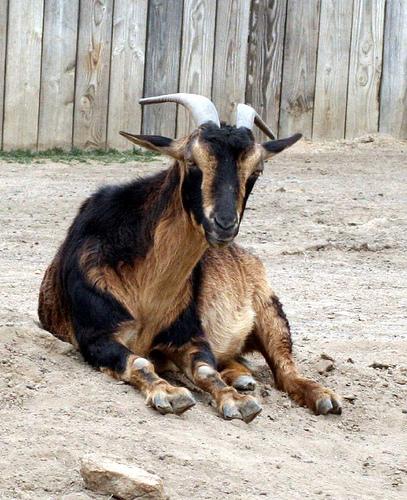 San Clemente goats are relatively small, close to the maximum standard for dwarf breeds. They are a meat breed, though uncommonly fine-boned and deer-like. They are horned in both sexes. Although the island population once exhibited a wide range of colors and color markings, the goats are now mostly red or tan with black markings.